The Model YZS automatic oil press integrates heating, expelling and filtering, and is capable of controlling the processing temperature automatically as well as both cold and hot extrusion. It is characterized by a high rate of oil output and great oil quality. This automatic oil press uses an electric pipe to heat the press case, which helps the press case meet required temperatures in a short time, improving the rate of oil output. The vacuum filter accelerates the speed of purification and ensures great oil quality. 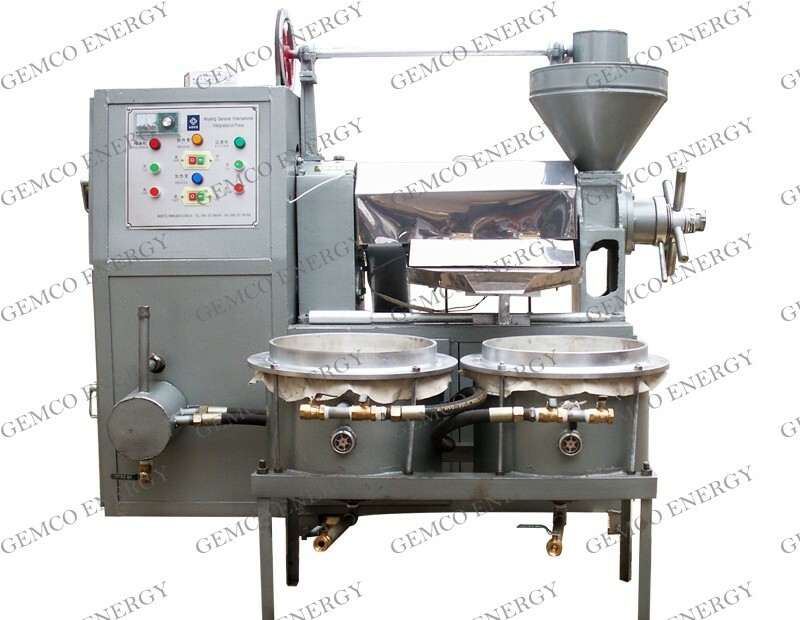 This oil expeller is also suitable to be used as hemp seed oil processing equipment. 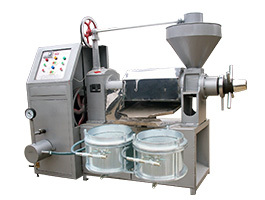 This automatic oil press is capable of extruding rapeseed, cottonseed, jatropha,soybean, groundnuts, sesame, camellia, sunflower, tung tree seed, olive, coconut, palm fruit (nuts), grainy oil plant seeds, as well as rice bran, corn germ, powdery materials and small batches of wild oil plants such as safflower. The Model 6YL Automatic Oil Press is advantageous for small and medium-sized sized oil extrusion workshops or individual households. If you are going to set up edible oil factory, you maybe also interested in cooking oil processing plant. Quality oil cake: Due to the quality of the oil cake produced by the oil press, it is able to command a high price and sells well. 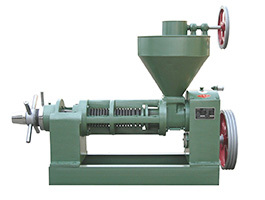 It is often utilized at feed mills. 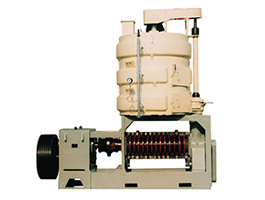 Pure oil without the need for a filter: The extra vacuum or plate oil-filter is unnecessary to cut the equipment’s cost. Output oil is edible and cools without frothing. 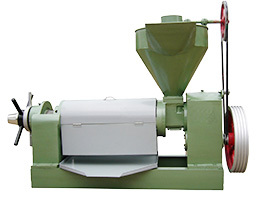 Easy operation, safe and convenient: The automatic oil press has a high-tech design, a smooth shell, is easy to operate, and is capable of being connected to computer-based systems for automatic production control. 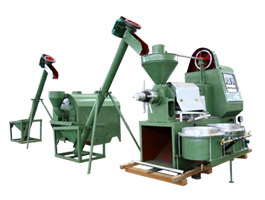 For palm oil processing industry, screw oil press is widely used for palm kernel oil extraction, but for palm fruit oil extraction, you will need special oil press for processing palm fruits.